Aardvark Painting Inc knows that no job is too small and for our Edgebrook painting company’s interior and exterior painting services. We use only the best paints for all of our painting services, and always do a fast and reliable job. Chicago’s very own Aardvark Painting Inc. Top Professional Painting Contractors in Chicago with Three Generations of Expertise in Residential & Commercial Painting in the Edgebrook area providing Interior and Exterior Painting Services and an impressive reference list from satisfied customers. Aardvark Painting Inc offers comprehensive Commercial and Residential Painting Services in Edgebrook from start to finish. From our customized Free Painting Estimate in 24 Hours and color consulting services, to our detailed Edgebrook Painters and precise job management; we make your painting experience hassle-free. Our Edgebrook interior painting services are available for your full house, from trim and baseboards to your ceilings, no matter if your Edgebrook home is new or old. 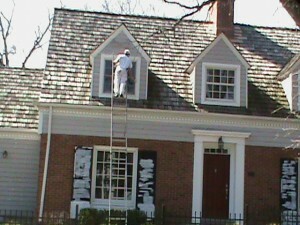 Our exterior painting services are available for the full exterior and trim.